This next free sound effect set is sure to make a crash and a bang in your audio library! Inspired by soda cans being kicked down the curb, you are sure to recognize the hallowed tin of these effects. Simple, short, sweet and superb, you’ll love this free sound effects set is a must have for any collection. License: 100% royalty free license that allows you to use the sound effects in all types of productions, for worldwide distribution, forever. There are never any licensing fees. Read our license agreement here. Tell Us What You Think and Leave a Comment! Welcome to Sound Effects for Free! Your download will begin momentarily! Like this free sound effect? Show us some love! Complimentary access to download from our library of over 100,000 sound effects, production music tracks, loops, and more! 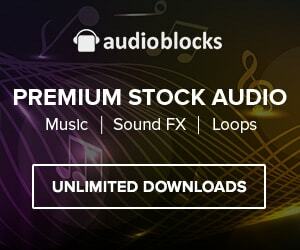 Unlimited access to download from our library of over 100,000 sound effects, production music tracks, loops, and more! Download anything you like from our library of over 100,000 production music tracks, loops, sound effects, and more!